… as in evocative of past memories. I’ll get to the student’s questions and my answers over the next few day’s posts. Today it’s about the pictures and what resonates for me. I went to Post as an undergrad and Dr. Digby (who is in charge of the honors program and has been so since I was there) has since invited me back a number of times to read short stories and talk about my various careers to students. It’s great to have a teacher believe in you especially long after your class-taking days are over. I’m taking her to lunch next time we get together. This kind of faith keeps a writer writing. 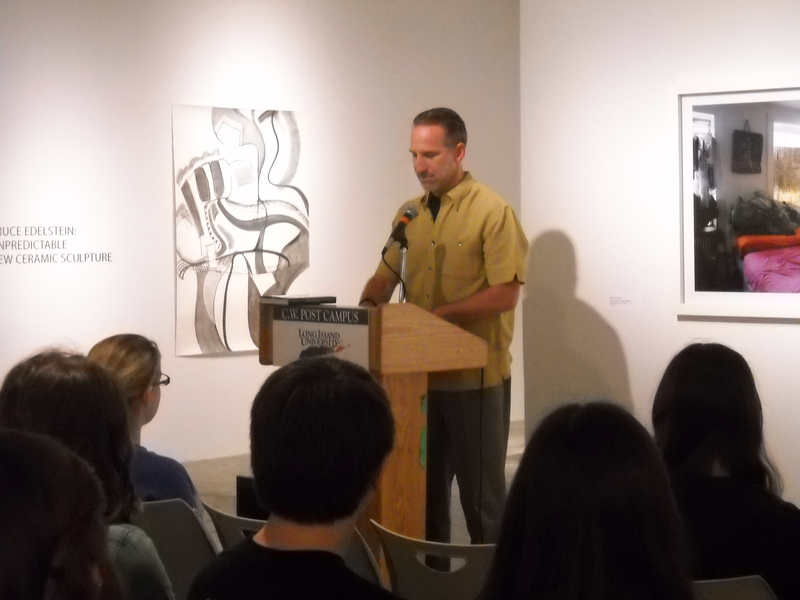 So the reading, in the art museum at Post, as the inaugural event for their newly opened poetry center, was very cool. 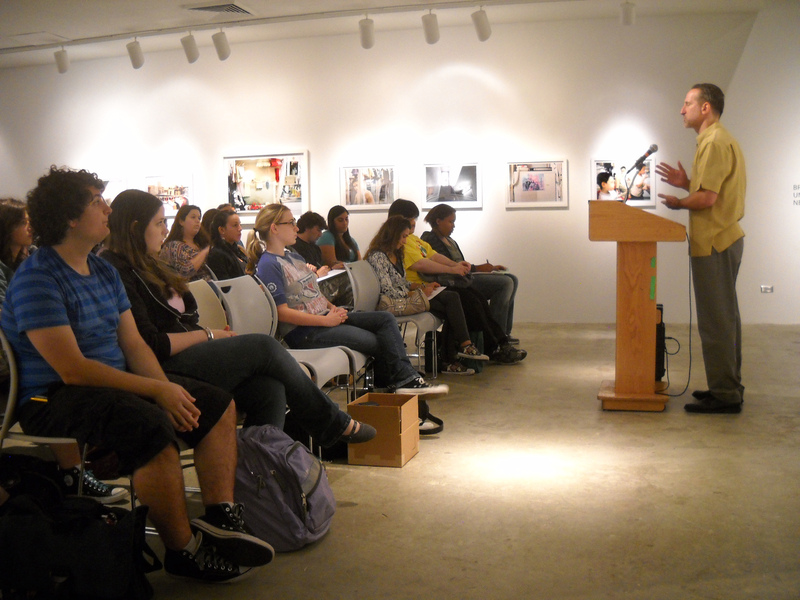 There was standing room only with over 70 folks in attendance – young adults to older adults pretty much 18 and up. It was something to stand there with my book in front of me and speak to folks who were in my seat thirty years ago. It resonated like a long, loud, ringing, Om. This entry was posted on September 23, 2011 by Joe Lunievicz. It was filed under Blog, CW Post, Open Wounds, Publicity & Marketing, Reading, Travel .